The first call for proposals will be launched on the 26th April 2016. Full details, forms, and programme manual will be provided in due course before the official opening of the call for proposals. The first stage will open at the end of April for a four-week window. At this stage applicants will submit Expressions of Interest (EoI) which will focus mostly on the content and intervention logic of the project: strategic alignment to programme priorities and challenges; project objectives and their impacts and results. An outline information about the partnerships and its transnational value, as well as a budget indication will be required as well. Results of the first stage will be announced in September 2016. The second stage will open in the Autumn 2016. Successful EOIs will be invited to submit a full application form with all the necessary information including detailed partnership, fully developed budget, and a complete project plan. Results of the second stage application is foreseen around the end of the year. Projects should be able to start activities at the beginning of 2017. Further information and partner searches platform are available on the new programme website: www.atlanticarea.eu. 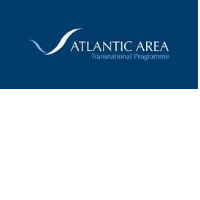 The co-operation programme is available on this website: http://atlanticarea.ccdr-n.pt/atlantic-area-2020/programme-documents.